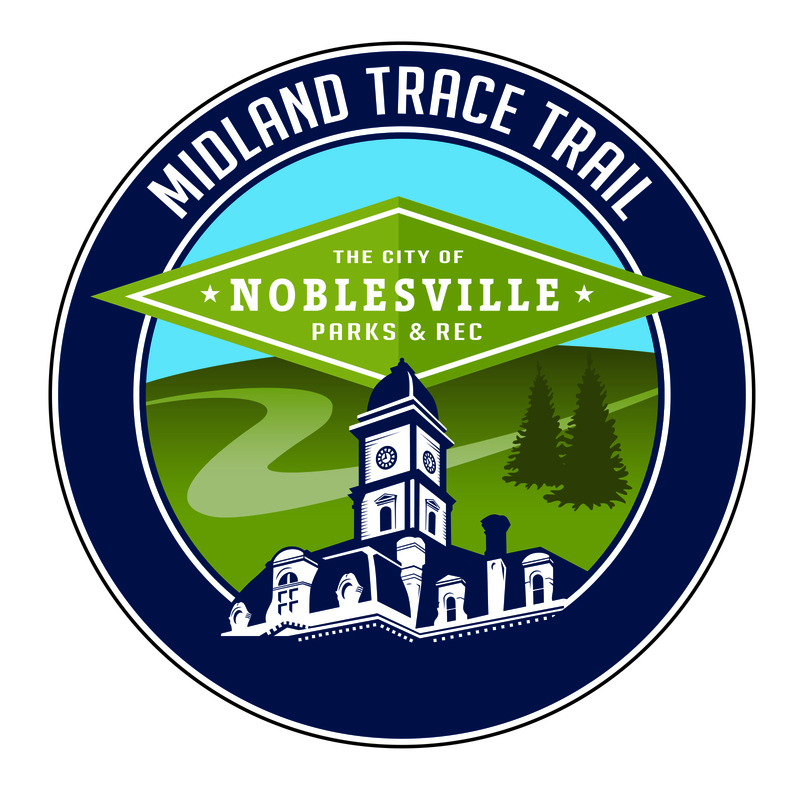 Noblesville officials broke ground today on its first phase of the Midland Trace Trail, a 12-foot-wide multi-use path that will connect Westfield’s portion of the trail at Gray Road east to Hazel Dell Road. 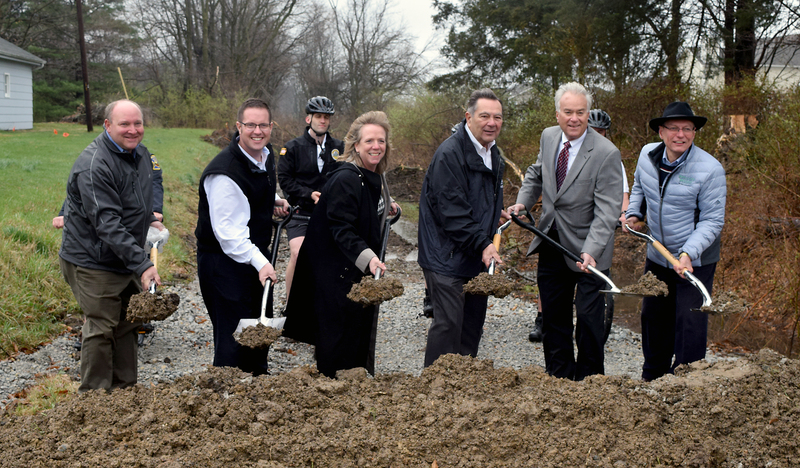 The project increases Noblesville’s trail availability and connectivity and accomplishes a goal of making the city more walkable. Joining Noblesville for the groundbreaking was Westfield Mayor Andy Cook and other city officials. 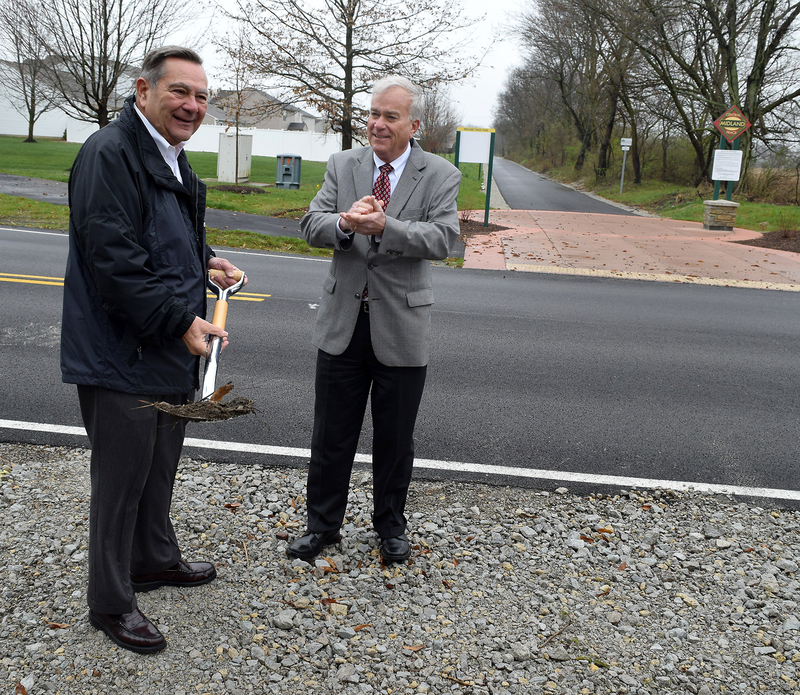 The two mayors “passed the shovel” as Westfield completed its 3.75-mile portion in November 2016 that runs from Gray Road to Union Street. They are continuing their portion further west to connect with the Monon Trail. The Midland Trace Trail project follows along the abandoned “Midland” Central Railway corridor (approximately 0.2 miles south of State Road 32). The first phase will provide a new family-friendly amenity near current and developing housing divisions, Hazel Dell Elementary School and the Field of Dreams baseball park. This portion of the Midland Trace Trail also creates a connection with the Little Chicago Road Trail, the second of three new trails that will begin construction in 2017 with the Levee Trail being the third. Meanwhile, the Riverwalk project, in partnership with Hamilton County, will be completed this fall. Plans for the Midland include a second phase to extend the trail east to Willowview Road, with a third phase that would connect with the potential Pleasant Street extension from Hague Road to cross Cicero Creek and the White River and beyond State Road 37. The project also will create a trailhead on the west side of Hazel Dell Road. “This area will be unlike any other location on the Midland. The trailhead will include restrooms, a water fountain, parking, benches and a bike repair and air station,” Ditslear said. The ceremony also kicked off the Noblesville Police Department’s enhanced Bike Patrol. The patrol began in 1996 with six officers. Today, the department has new specialized bicycles and equipment for its team of 15 officers. Bicycles will be accessible on police vehicles to allow the officers to travel along trails, alleys and in subdivisions. Their presence also will be seen at special events throughout the city.